A news story today is about a 35 year old Russian, requiring rescue off the stormy coast at the south end of Tiree. Which is way North in the Highlands. 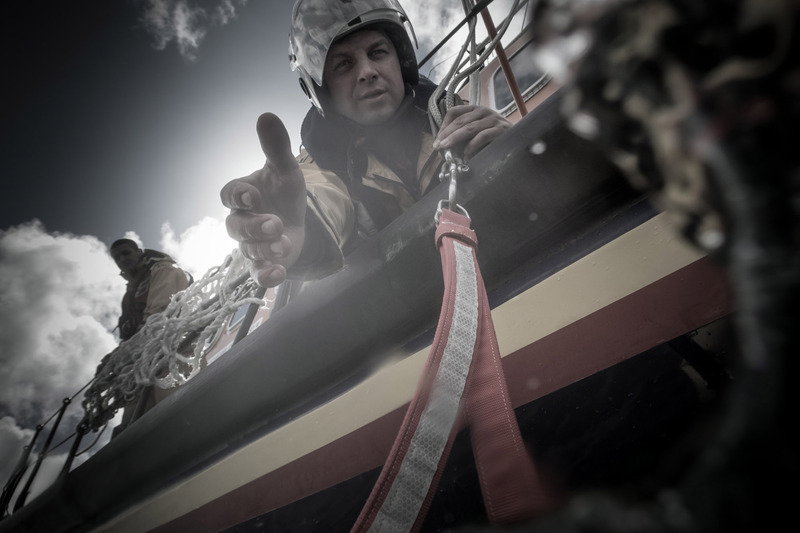 This is interesting to us because the crew that had the “shout” to go onto these extremely dangerous waters and effect the rescue, were the same crew with whom Clive Booth has been working for this past year. Clive has produced a book and exhibition on the people of Islay, with particular focus of the day to day lives of this RLNI crew. Having shot the images, he was invited by Canon to re-trace his steps with a film crew in tow, and so have a documentary made of his journey. Canon are the only camera manufacturer that produce cameras, lenses, printers, papers, inks and software that share technology, and that are designed to work together and so create a synergy not found elsewhere. This film of Clive was made to promote this aspect of the Canon products, with a focus on the printing process. Back to the Russian….. it seems he had stolen a yacht to effect an escape and had taken it into very harsh waters, in extremely bad conditions and as he was not a sailor, he had to call for help. Having been rescued, he is now in deeper waters, as he has been arrested and is facing charges under international law. The brave men and women who risk their lives to attempt to save people in danger out at sea, do not question the back-story to who or why the situation in which they are involved has arisen; they just go out day or night, calm or rough and do it.